Ferdinand Magellan. Marco Polo. Leif Eriksson. Christopher Columbus. The big names of the Age of Exploration traversed land and sea in search of adventure, discovery, glory and wealth. Hong Kong. Amsterdam. Timbuktu. New York. Samarkand. Goa. San Francisco. Great trading cities of the last 700 years (or more), where peoples, cultures, ideas, trades and goods came together and combined in new ways. 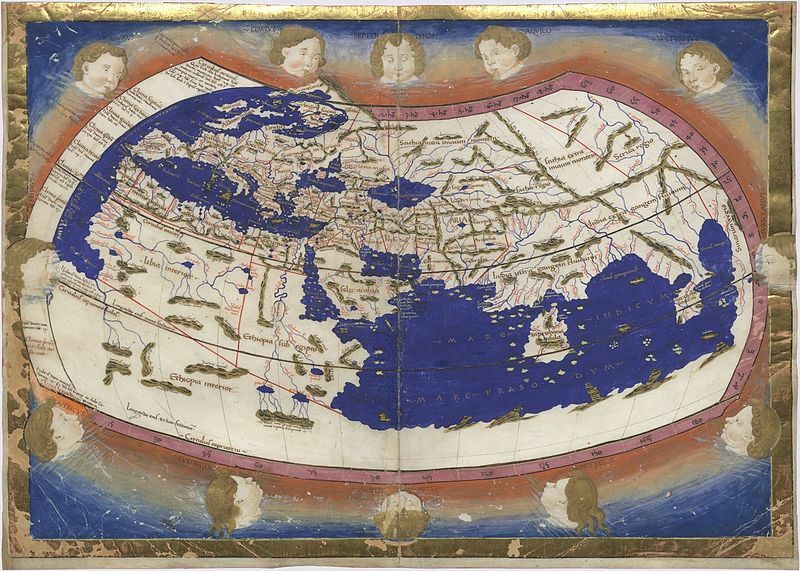 We know even less about our digital world than Ptolemy knew about his physical one, circa 1470. The Do It Yourself (DIY) movement overlaps with the “sharing economy,” the “maker movement” and the “hack revolution.” DIY arises from the fact that we don’t need permission to find and use whatever shiny object we happen upon. We can create our own processes, find our own learning opportunities wherever we find them, creating our own Professional Development paths. Intellectual property (IP) rights are in an upheaval, and artifacts that we find in abundance are there to be used, combined, repurposed or discarded—such is our new age of discovery. Digital communities are emerging in ways that allow us to meet people that would have otherwise been impossible, and share ideas exponentially farther than was possible for all but a handful of very famous people in previous generations. The digital trading posts are everywhere, bringing ideas, cultures and wealth of knowledge (along with the same number of hucksters and swindlers, I acknowledge). When TIME ran its person of the year issue in 2006 as “You,” I thought it nothing more than a gimmick. In fact, they were prescient. Who would have guessed?! Learning is the work (not the job): As is increasingly recognized by economists, technologists, strategists, learning professionals and keen observers, the traditional job-based economy is morphing into the “gig economy.” Tasks that require automation and repetition will increasingly become the domain of machines. Economic buoyancy depends on our ability to change, adapt, create and add value. That’s learning, my friends! But that necessary learning doesn’t happen when we sit behind our desks performing the same tasks in the same ways, and relying on the same information and interpretation as we did yesterday and five years ago. Time to set on a journey of discovery! When we meet new ideas and people on our excursions near and far, traversing the marketplaces of ideas for novelty and gems, we are very much akin to explorers of old. The biggest difference is that we don’t risk our lives at sea, count on the generosity of the moneyed or monarchy, or rely on a crew of many to journey the globe. No, we don’t need the purse of monarchs and financiers to take our trips, nor will anyone command we leave port. 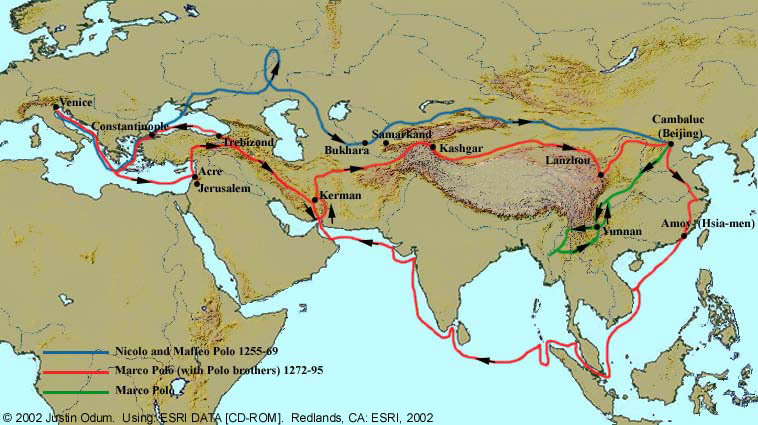 Marco Polo and the extension of the Silk Road into Europe. We are all able to set sail to New Goa or caravan to Nova Samarkand on our own exploration, to ride whatever winds we catch to carry us into unknown regions of knowledge, culture and application. In my next post, I’ll share ways to navigate this new world without knowing exactly where you’re going to land. Good insights vividly expressed, Ben. Now I’ll set sail for Part 2. Hope to meet you in some port of call that we don’t know exists yet.